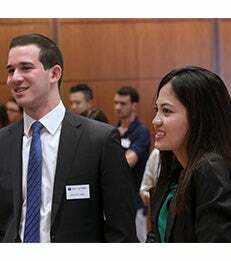 NYU Stern welcomed the incoming class of Master of Science in Accounting students to campus on August 30. We are in the greatest city in the world. Take time this year to explore all New York has to offer. 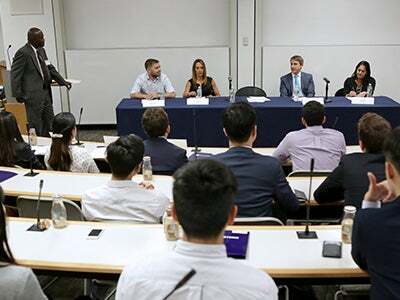 NYU Stern welcomed the incoming class of Master of Science in Accounting students to campus at orientation on August 30. Over the next year, students will earn their degree and complete the prerequisite 150-credit-hour education requirement needed for New York State’s Certified Public Accountant (CPA) certification. 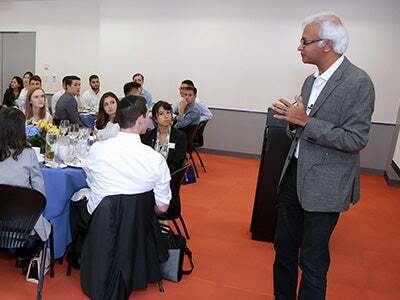 At the same event, Mark Tavel recalled how he was able to secure his current position by utilizing on-campus recruiting opportunities when he was a student at Stern. “Take advantage of everything you have here,” he advised. Stern’s MS in Accounting, which launched in May 2015, will allow college graduates with a business or accounting major to satisfy the course requirements for New York State’s CPA certification. Because of New York State’s stringent standards and reciprocity with other states’ certification, graduates of this program will be well-prepared to meet CPA requirements in other states such as California, Texas, and Florida. The MS in Accounting provides a thorough foundation for careers in accounting, including attestation and assurance services, as well as taxation and forensic accounting.